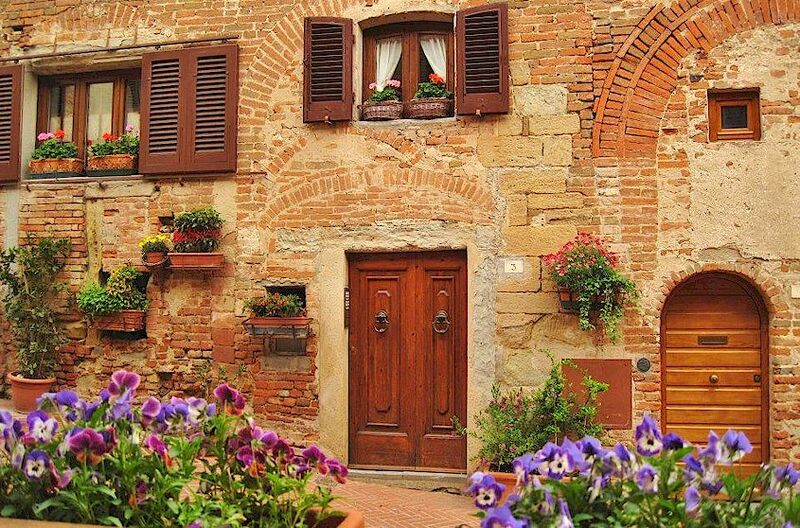 Many visitors to Tuscany settle on the Chianti region between Florence and Siena as a place to stay, in part because of its central location which makes it a good base for their vacation in Tuscany, with plenty of options for exploring other parts of Tuscany in all directions. The beautiful countryside and, of the course, the food and wine are also important factors. 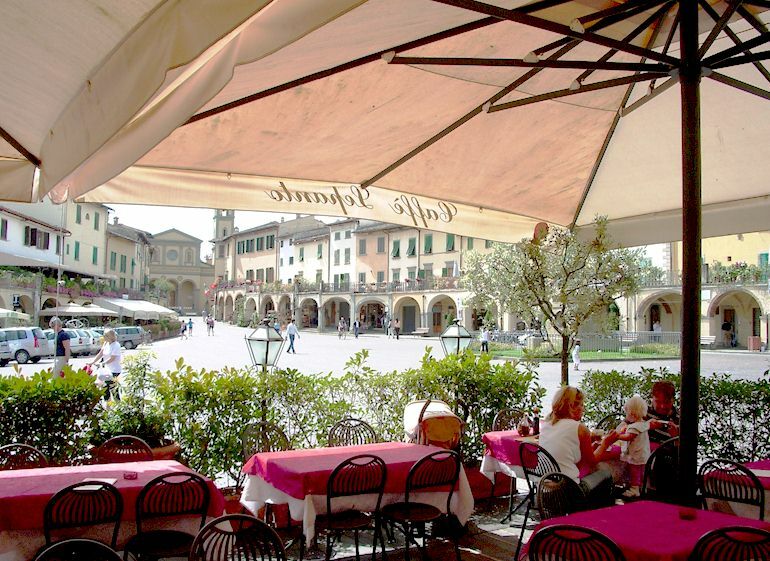 Next comes the question of exactly where is the best place to stay in the Chianti region. My recommendation for a great place to stay is the area around Greve in Chianti and Panzano in Chianti. The wine producing municipality of Greve, which includes the small town of Panzano, is the largest of the eight comuni of Chianti and has the highest number of agriturismi and other forms of rural vacation accommodation in the province of Florence and the Province of Siena. Competition means that prices are low and standards are high. You can easily find an attractive village or farmhouse apartment for 2 persons for 65 euros per night or less. Many of the agriturismi have a swimming pool and all of them have fully equipped kitchens, so that if you don’t want to go out to a restaurant, you can prepare your dinner at home, either from the ground up or using the freshly cooked food and other delicious edibles available in the Coop supermarket in Greve. Here is my list of recommended vacation rentals in and near Greve and Panzano in Chianti. Hi Elena, regarding a place to stay in the Chianti region, for me it’s important to have access to food items that don’t require a lot of cooking. I need to save a bit of money by not eating out every night. What kind of thing is available in Greve in Chianti, especially the Coop supermarket you refer to? Thanks! Hello Josh, although TV-dinner-style frozen meals hardly exist here, Tuscany in general is great for ready to eat food, and Greve fits that pattern. The Coop supermarket has a special counter devoted to cold cuts and cheeses freshly sliced to your requirements, pickles, mixed salads, whole salami etc, and as well sells meat and vegetables that are cooked on site. So you can buy all the components of a dinner – roast chicken, roast potatoes etc etc and take them home to warm up at your agriturismo. Don’t buy too large a quantity of parma ham, for example. This is by far best consumed freshly sliced. (The local, saltier prosciutto is “San Daniele”, by the way). And that’s just the supermarket. There are food speciality outlets all around Greve and at the Saturday market there is a porchetta wagon as well as fresh fruit and vegetable stands.